Their water volume is “only” about 650 litres, so not too much to heat up and keep walm. Also not too much weight. BUT their size does mean while they are super comfy for 2 people, as soon as you go over that, it gets a bit of a squeeze. 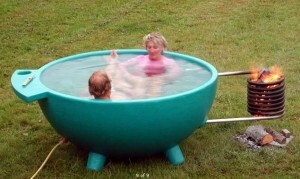 (the bottom of the Dutch Tub tubs domes up). Look at these 2 pic’s of 1 and 2 people in a Dutch Tub (there is only one size). Click on either pic and you’ll get the full size version where yu can see toes at the other side of the tub and arm spans etc. I’ve just found Cashen Hot Tubs. 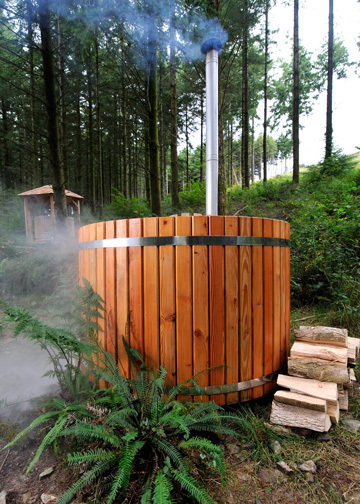 Their tubs are 100% made from timber from local (Cornish) forests. Mostly from Dutchy controlled forests less than 6 miles from their sawmill. 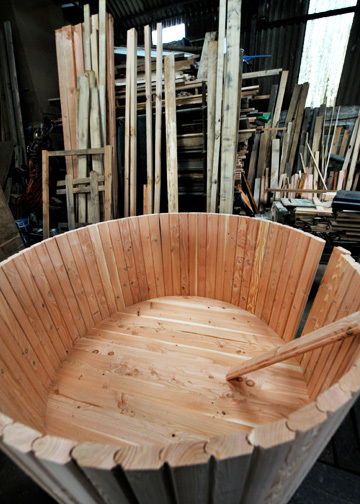 The 1.7m diameter Cashen hot tub is down as suitable for 4-5 people. It’s about 400 kg empty, so add the 1,800 litres of water, the burning fire and a few people and you rapidly get to 2,500 kg or a bit more. The inside depth of the tub is 920mm, outside height is 1090mm. 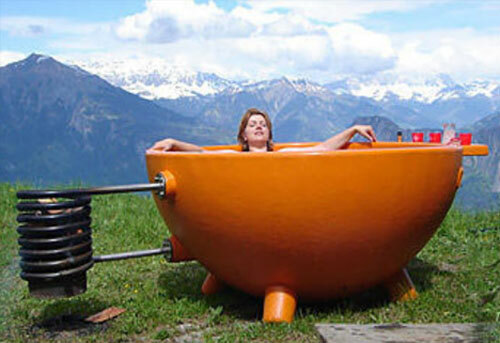 They have said they can make a shallower tub to make the most of your sea view. But will that mean cold shoulders ? 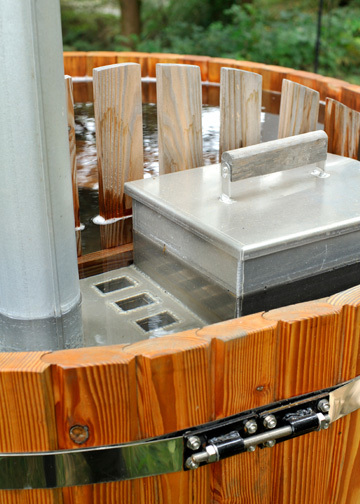 They can also add a filtration system to the wood fired hot tubs. 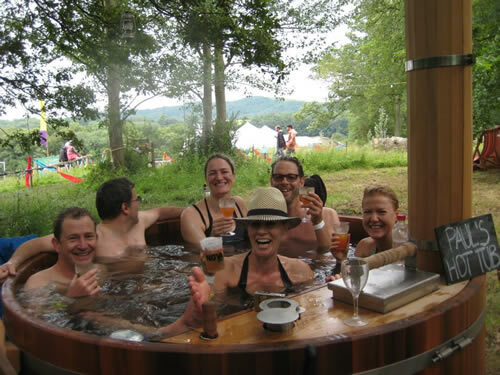 Prices include our eco-friendly underwater wood-burning heater and integral seating as standard. The stove is made from marine grade aluminium. They can be replaced at £800. 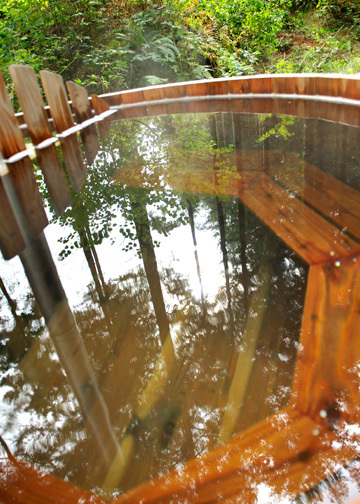 Reading elsewhere, hot tubs tend to run around 36° degrees. The stove needs to be sized to not over or under heat the size of the tub. The more they are not left the better. 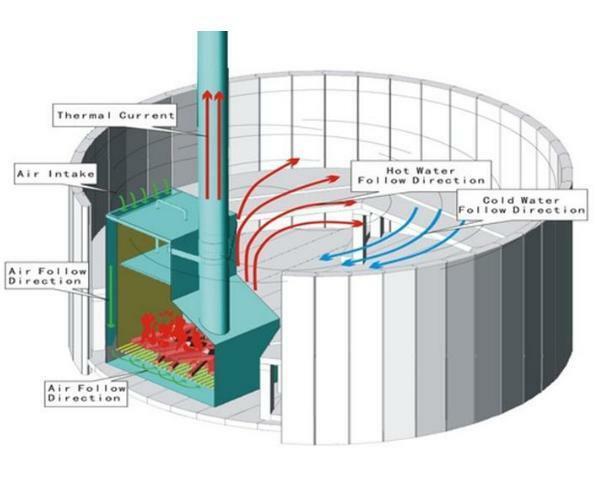 This entry was posted in Developing Ideas and tagged appliances, hot tub, water by Rory. Bookmark the permalink.